Aerial view over Lake Chad from the aeroplane, clearly shows patched of desertification. 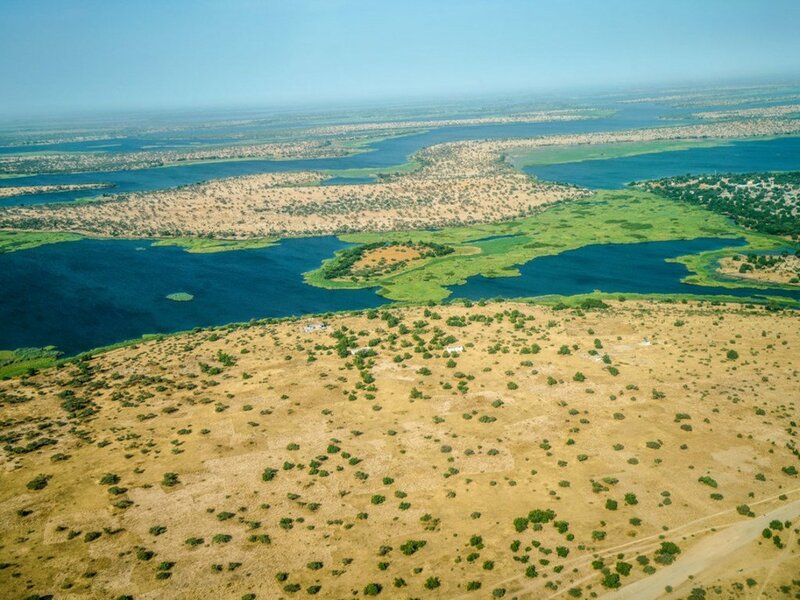 In the past 50 years, Lake Chad basin shrank from 25,000 square kilometers to 2,000 square kilometers. To bring the voice of the people to the upcoming Climate Change Conference in Poland (known by the shorthand 'COP 24', from 2 to 14 December), the United Nations has launched the ‘People’s Seat’ initiative, calling millions of change advocates worldwide to submit messages for an address that will be delivered to leaders attending the conference, by renowned naturalist Sir David Attenborough. “This is an opportunity for people from across the globe, regardless of their nationality or circumstances, to be part of the most important discussion of this century; the unprecedented action needed to reach the Paris Agreement targets,” said Sir David Attenborough. “I encourage everyone to take their seats and to add their voice so that the People’s Address truly represents a mix of voices from across the world,” he added. The ‘People’s Seat’ initiative, launched by the Secretariat of the UN Framework Convention on Climate Change (UNFCCC), calls for inputs for the address to be delivered during the opening plenary session of the COP24, by Mr. Attenborough, on 3 December. Everyone and anyone who wants to add their message to voice the urgent need for action, can do so by using the hashtag #TakeYourSeat on Twitter. 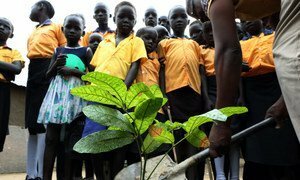 The call for global advocacy comes weeks after the UN Intergovernmental Panel on Climate Change (IPCC) issued a report showing how urgent and possible it still is to limit global warming to 1.5°C from pre-industrial levels. The report warned that if no action is taken, the world is headed towards a warming of over 3°C. The aim of the COP 24 is to agree on a collective implementation plan for the 2015 Paris Agreement, and raise ambitions to achieve its goals. The People’s Address will also trigger the launch of another initiative to engage global citizens: the ‘ActNow’ Bot via the United Nations’ Facebook Messenger account, recommending everyday actions – like taking public transport and eating less meat – and tracking the number of actions taken to highlight the impact that collective action can make on such a critical issue. 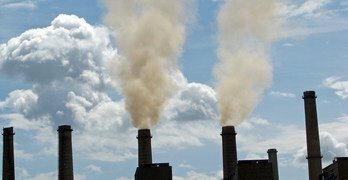 Levels of heat-trapping greenhouse gases in the atmosphere have reached another new record high, according to a report issued on Thursday by the United Nations weather agency, which reveals that there is no sign of reversal of this trend, responsible for climate change, sea level rise, ocean acidification and extreme weather. Protecting the planet rests on this generation’s youth and their inclination “to hold leaders and decision-makers accountable,” especially in the combat against climate change, United Nations Deputy Secretary-General Amina Mohammed told university students in China today.